Speaker of parliament Dr Jiko Luveni has passed away. Close government sources have confirmed that she passed away this morning. Dr Luveni comes from the village of Nukuni on the island of Ono-I-Lau. She was the first Fijian woman to have graduated in dentistry and worked for the Ministry of Health for 20 years, before working for the United Nations Population Fund as project manager for reproductive health. In January 2008 Luveni was appointed Minister of Health and then as Minister of Social Welfare, Women and Poverty Alleviation. In 2013 Luveni indicated that she would stand for Election under the FijiFirst banner. In the 2014 general election, she received 2,296 votes and was elected to parliament as the 14th highest-polling FijiFirst candidate. 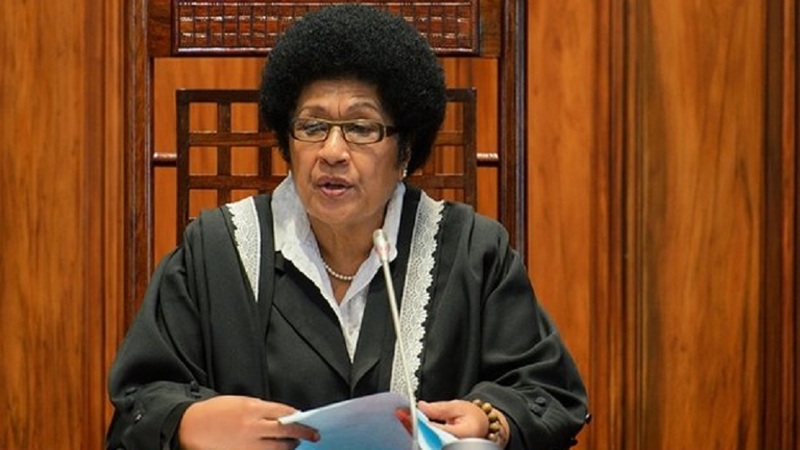 She resigned her seat immediately following the election in order to become Speaker, the first Fijian woman to hold the position. 72-year-old Dr Luveni was re-appointed to the position following the 2018 Election last month. Dr Luveni’s family is expected to make a formal statement later.